Tbilisi Sport Palace is an Indoor sports arena situated in Tbilisi, Georgia. 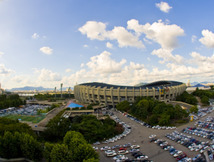 The arena usually hosts basketball, handball, judo, tennis, boxing and other games and tournaments with high attendance. Built in 1961, the arena was used primely for the basketball games of local Dinamo Tbilisi and is still the largest basketball designed arena in all of the former USSR successor states. The arena was renovated in 2007 and was reopened on August 22, 2007, with management rights given to the Logic Group Ltd for a 30 year contract. 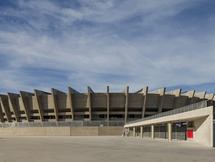 This was the first phase of renovation and reconstruction, with the second phase including changing the roof of the building and installing new individual seats.